This is a surprisingly fantastic mug. I was more than skeptical that it would actually withstand abuse from my kids and still work as a functional coffee mug. 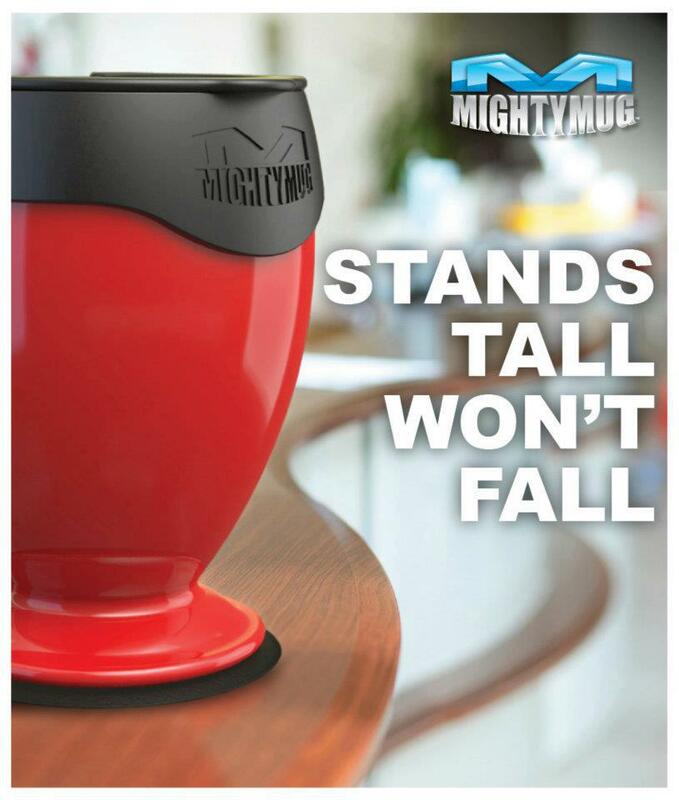 The Mighty Mug is just that surprisingly awesome. And almost un-spill-able. You can’t even punch it! Long and the short of it. It has a vacuum seal technology in the base that works by the small movement of the black handle and cup inner part, moving against the outer shell. A tiny movement of picking the mug up and the seal is broken without any effort. Try to accidentally knock it over… and it doesn’t budge. You can punch, slam and tilt and nothing moves. My only design based critique of the mug would be to fix the lid to be more of a locking lid, and less of a open pour spout. Other than that this mug is perfect. but who wants science? We want to watch cute kids try to knock it over. And to beat all that the mug has won the coveted place as my go to cup for in the office coffee consumption. because I’m a clutz. By the by their facebook page is a hoot! And I also happen to love their logo, as a whole the product, the packaging and the design of everything I’ve seen from them, start to finish is fantastic.